The non-profit making organisation provides an important investment into the flooring industry, continually developing training courses whilst promoting up to date installation information and assistance to flooring professionals. Mapei recognise the importance of passing on skills and best practice through training and demonstrations to the next generation of floor layers. FITA representatives, Richard Catt, Mick O’Flynn and Steve Ramsden recently visited Mapei UK HQ. The visit included a full laboratory and factory tour showcasing the strict quality control and manufacturing processes which Mapei implement to ensure that product entering the market is only of the highest quality. Richard Catt, CEO of the Contract Flooring Association said “We are delighted to welcome Mapei to the growing number of companies that sponsor FITA. It is extremely important that we have the support of leading brands such as Mapei and a win-win for delegates who attend FITA courses and use their products. Training with up to date, innovative products is obviously important and it is a fact that what fitters train with is what they are likely to use as they move through their careers. Smoothing compounds – Latexplan Trade, Ultraplan Renovation Screed 3240, Ultraplan Eco, Planiprep Skimcoat. 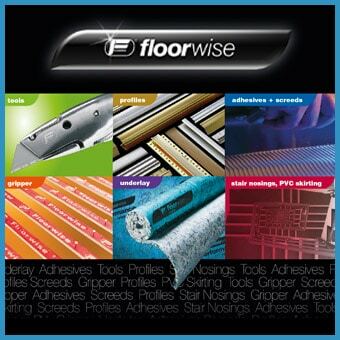 Flooring Product Guides are also available at the FITA training centre for delegates to take away and view at their leisure. For more information regarding Mapei’s sponsorship of FITA or training events held at Mapei’s own training centre, email [email protected] or call 0121 508 6970.